Bangladesh is a South Asian country with endless beauty, many waterways and lush greenery. Padma, Meghna, Jamuna and many other rivers has created fertile plains. The largest mangrove forest Shundorbon has is situated on the northern part of the country. 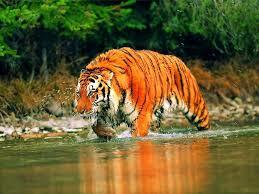 It is also the home of Royal Bengal Tiger. Bangladesh share its land border with India, Myanmar, Nepal, Bhutan and China. Land area of the country is almost equal to the maritime territory. Bangladesh is considered as the eighth largest country based on population. Dhaka is the capital city of Bangladesh. It is the largest city of the country as well. Chittagong is the largest port and second largest city of Bangladesh. The largest city of Bangladesh, Dhaka, is also the capital of country. Majority of the people live in this mega city. Tropical monsoon with wide seasonal variations in rainfall is the main characteristics of weather in Bangladesh. There is a minor change in regional climate change. The country has six seasons. They are – summer, monsoon, autumn, late autumn, winter and spring. In winter, wind mostly blow from north and north western part of the country. After the Sunni missionaries came in 13th century, Islam became the dominant religion of the country. By building masjid and madrassas, the Muslims rulers played an important role to spread Islam in the region. Europeans came here in the 16th century for trade purpose. After a century, they utilized all possible opportunity and ruled the region for almost two hundred years. Before the independence of the country in 1971, Bangladesh was eastern part of Pakistan. Ethnically, Bangladesh is a homogeneous country. But there are some diverse indigenous people in Sylhet, Chittagong, Mymensingh and northern part of the country. The number of population was 152, 518, 015 in 2011 and based on this number Bangladesh is in eighth position in the world population chart. The official language of Bangladesh is Bengali and English is considered as the second language of the country. The indigenous people of southern and northern part of Bangladesh speak in their native languages.